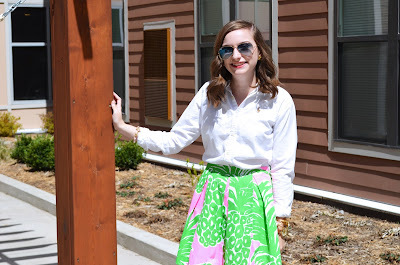 For a recent event in April I picked up the most talked about Lilly set from the Spring collection. The Flamenco print is all the rage and I am totally on board. 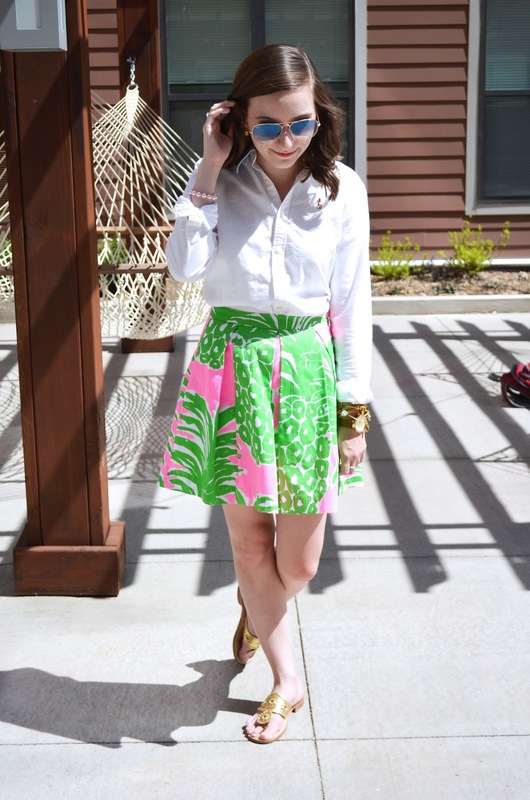 Bright pink and green pineapples, hello it's perfection! I loved the two piece set in this print and I knew I had to have it. For this look I decided to pair the skirt of the set with a simple crisp button down. The best part about purchasing a set is that you can wear it so many different ways. You can pair it together or wear the skirt or top on its own. 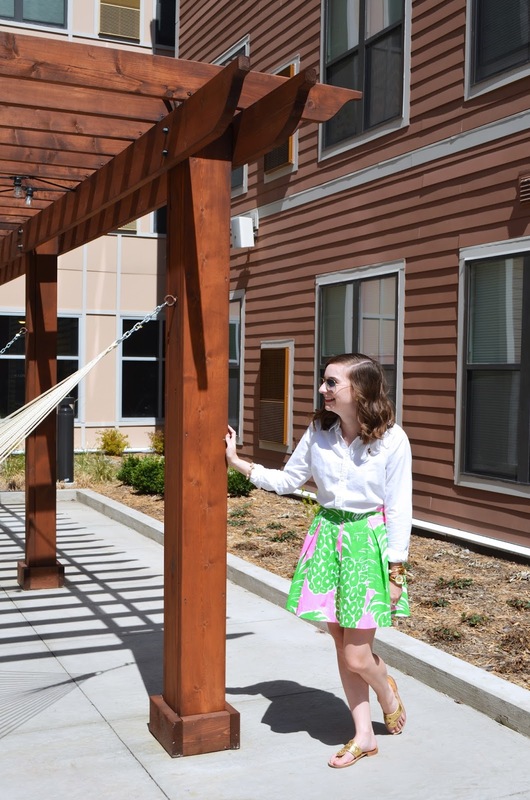 By pairing the bright skirt with a more simple top you could wear this to work, a day of shopping, or to class. But, now that it is officially summer I don't have to worry about class *thank goodness*. 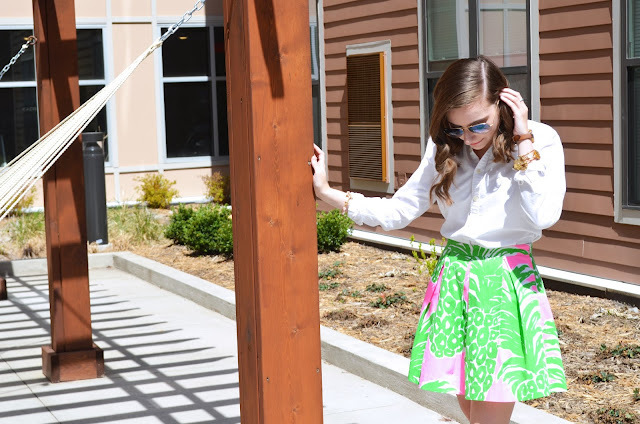 This skirt is super flattering on a ton of different bodies because of the pleats and flowy silhouette. 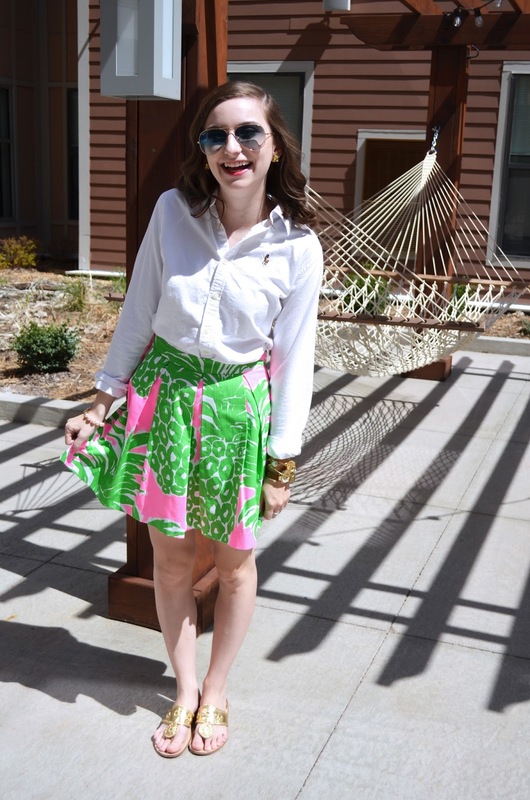 I think Lilly should start selling this skirt in all of their prints as a separate because it is just oh-sew-cute! To accessorize the look I wore a fun pair of Kate Spade glitter stud earrings along with some of my favorite bracelets. I've been loving my Bourbon and Bowties bracelets that I picked up in Florida over the past few months. I found this adorable Moon and Lola collaboration bracelet along with a more simple pearl option. 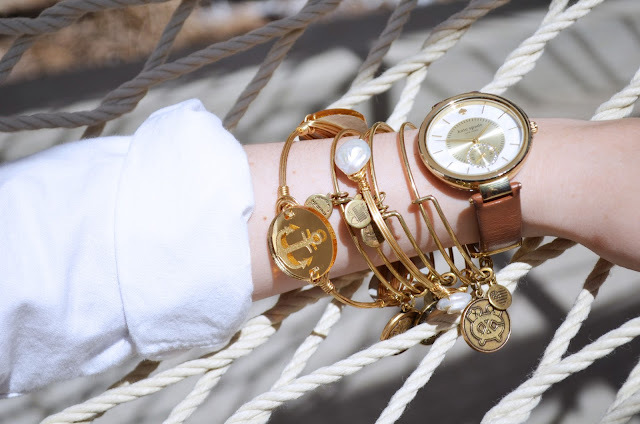 Stacking them with simple Alex and Ani bangles completes the look. But, I can't forget my pink pearl KJP bracelet! I've been reaching for this one constantly and I think I've grown to love it more then my classic pearl KJP bracelet. 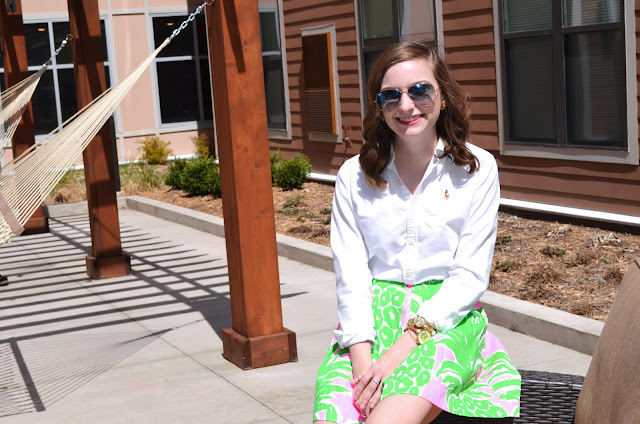 Do you have a two-piece Lilly set? How do you style it? Tell me in the comments!